Halloween was interesting. 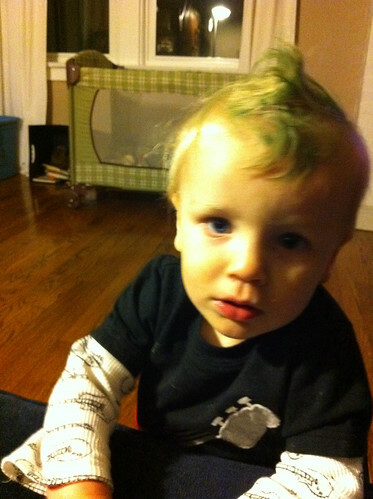 I dressed up as a rock star (including a green mohawk). We went trick-or-treating at daycare on Friday. 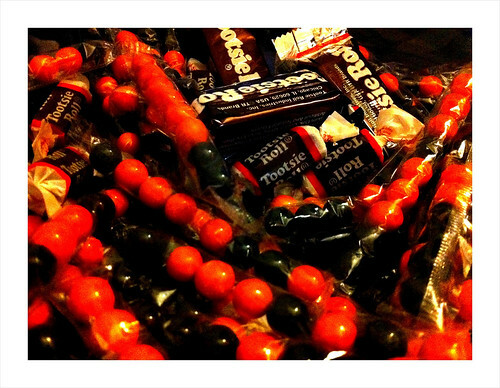 Then today we had a few kids come by for candy. I'm not really that into it yet. Maybe next year I'll be more excited.